Below illustration shows the trail work we are planning to start next week. Normally, we invest a little bit every year to improve trail groom-ability and to tweak trails to reduce the amount of snow cover required before we can start grooming (equals earlier opening date!). 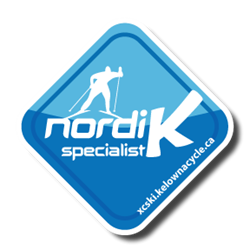 We remove large rocks, eliminate tight radius turns, widen trails, install culverts to keep spring meltwater off the trails, build up low areas which are subject to spring flooding. They are wide enough to allow athletes to pass during a race. They have a “standardized” profile including two long A-climbs (25 meter elevation gain, gradient 6-14%), several short steep B-climbs (10 to 30 meters with gradient 9-18%), flat recovery stretches between A and B climbs, and of course specific course lengths. There are no hairpin turns at the bottom of a hill where athletes may go off course into trees or spectators. Elite international athletes — World Cup tours and Olympics — who have never raced at Telemark will be confident that our trails are comparable to any of the World Cup trails they usually race on, meaning our trails will work for their training regime and they are not risking a season-ending injury due to a dangerous race course. 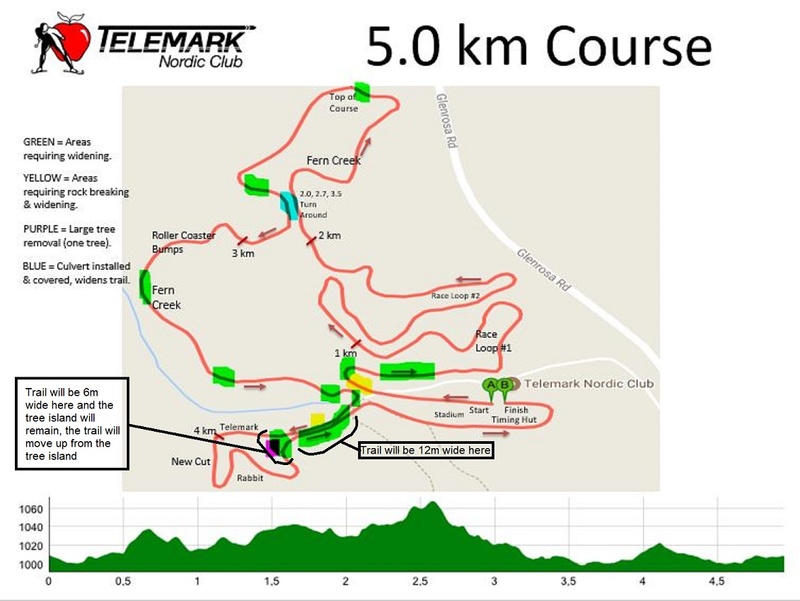 We are undertaking to FIS certify our race trails firstly because we committed to Cross Country Canada that we would do so as part of our successful proposal to host the Western Canadian Championships at Telemark in February 2019. But this is also a natural evolution of our growing club and being home to our growing roster of high-performing athletes who are now competing Nationally and Internationally. Club members and guests also benefit because the affected trails will be better to ski and easier to groom. Interested in volunteering for summer work on our trails and buildings? Please drop us a note!